this is earth (and how it works). And I say to you, fear not. For I have tried kale anew. I have doused it in warm olive oil and balsamic and garlic. And lo, it is good. It also tastes extra tasty cause I got the idea from a farmer at the farmer’s market, where I went and handed over money for vegetables and did not even cry, not even once, not even alone in the parking lot. So, do what I did, and chop all this stuff that’s in the conveniently placed photograph up (not the kale, wash that and put it in a bowl. And really wash it if you give the farmer’s market your custom, or you could inadvertently eat some bugs you’ve just killed in hot oil and have to turn your back on your whole way of life). 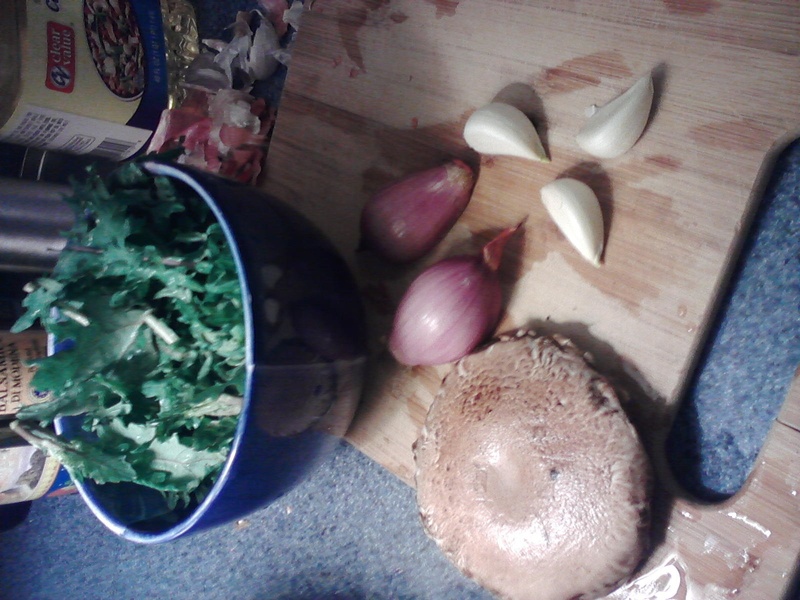 Put it all in a pan except the kale, with lots of oil, more than is appropriate. Put salt and pepper in there, and a splash or two of balsamic. Then, when everything is soft and fragrant and smelling of righteousness and vitamins, pour it over the raw kale, and let it sit while you check your email or pick the lint out of your bellybutton (or both, who am I to limit you?) Then eat that beautiful big bowl of greens, and you’ll feel a little better. And if you don’t, heat up a big bowl of pasta and cheese and go to town. I won’t tell. it looks delicious! it even looks like a bowl of virtue! but i fear, young lady, that you miss your roommates. 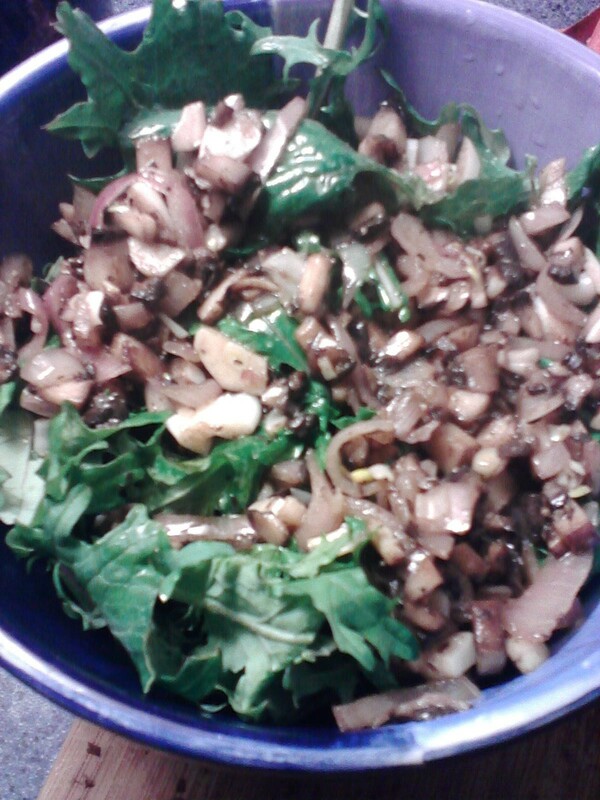 i told people at the market this weekend that eating kale was just like eating a bowl of virtue….thanks!